Nadine will start the day with a morning meditation, followed by a powerful Vinyasa Yoga class that is suitable for all levels. Everyday we will set the focus of the yoga practice differently wether it may be core Yoga, detox Yoga or focusing on hip openers. We will end the day with a calming Yin Yoga or Yoga Nidra (Yogic Sleep) practice. For the interval training Joey's focus for the workouts will be to motivate our clients to believe in themselves so he can take them to their next level. The sessions will be designed to get your pulse racing and improve your fitness through a high intensity interval training approach. There will be a mixture of training disciplines through out the retreat giving the participants various classes that will focus on circuit training, high intensity interval training, mobility and core. There will also be an opportunity to take in some of the surrounding scenic views with a combined run and hiit session. With his background as a dj Joey will also accompany his training sessions on the retreat with an electronic underground soundtrack, keeping the energy high and our retreaters smashing their fitness goals.This passion for creating a dynamic and fun group experience is what makes Joey's training sessions an exciting addition to our BODY FLOW RETREAT. 500 RYT certified, Nadine has been practicing yoga for 15 years and excited to share her passion of Yoga. She is teaching regularly in Berlin in the most popular Yoga places like Spirit Yoga and BECYCLE since 2014 loves to travel to take Yogis to special places like Ebbio. Her preferred style is Vinyasa Flow with powerful elements, but also the counter part to the strong yang classes: Yin Yoga/Yoga Nidra to balance it all out. So be ready to experience a full body and mind treatment during our retreat. Joey is originally from London but has now called Berlin his home for the past 2 years. Originally coming from an endurance training and marathon running background, he has been focusing his coaching expertise on Berlin's cycling enthusiast at the boutique fitness studio Becycle. Joey has also utilised his knowledge as a personal trainer and created his own tribe of fitness followers at his weekly bootcamp sessions called Sweat Klub. 2 bedroom/double room - 1075 Euro p.P. single room - 1275 Euro p.P. Mastersuite - 1475 Euro p.P. Bring a + 1 special: get 100 Euros off p.P. 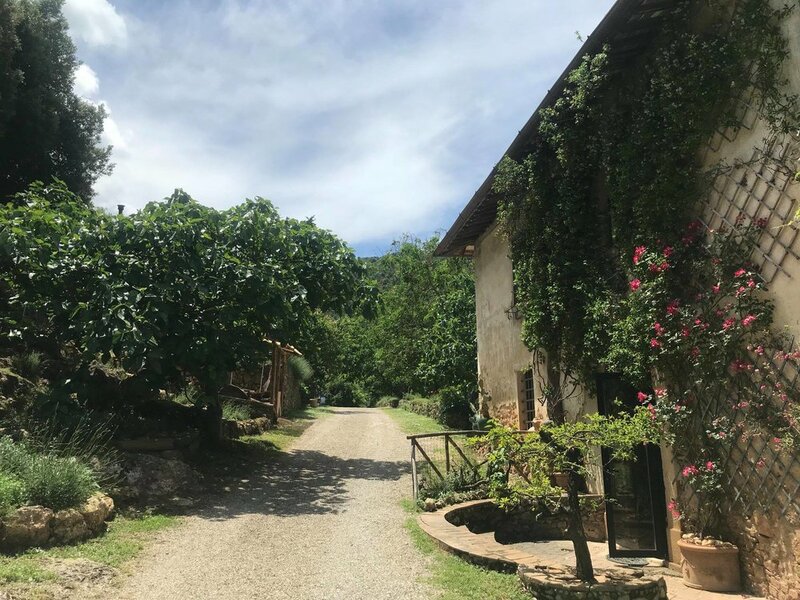 Ebbio is an original rural complex from the 13th century converted into a charming agriturismo welcoming you in its 10 spacious rooms full of fascinating history. They try to keep the feeling of the old Italian country ways of living. Silence, earthy colours and fragrances are still prominent. Ebbio is surrounded by an evergreen forest embracing the heart of an extinguished volcano`sacred to Etruscans. 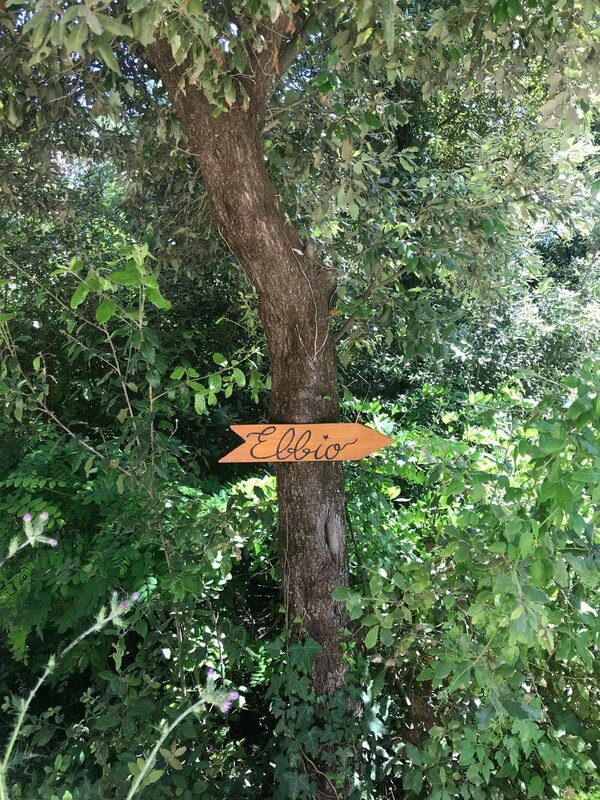 Between Siena and Florence, just 1.8 km away from the medieval borgo of Monteriggioni, Ebbio is a certified organic farm of 7 hectares, cultivating olive trees, vineyards, officinal plants, fruits and vegetables, used in the preparation of the vegetarian meals they offer during your stay. In Ebbio, you will find the spectacular scenery combining the history and flavours that make Tuscany such a unique vacation experience.